As Information Technology continues to gain grounds in Nigeria, it has in no small way gave room for very good innovations that cut across all works of life. Have you ever wondered if it's possible to send the airtime on your Glo line to your MTN or any other mobile network in Nigeria or vice versa? 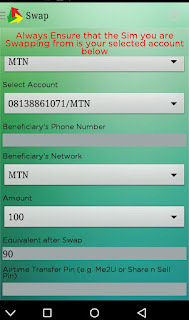 This post will guide you on how you can start sending airtime credits from one network to another - No network barrier. Swap Naija is an Android App that enables you to to transfer airtime credits from one network to any other network in Nigeria. The process is very easy to set up and the transaction fee is quite affordable. 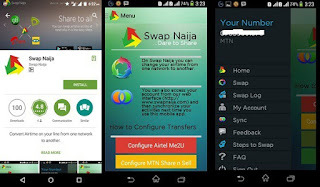 NB: Before you continue, ensure you have activated the Airtime transfer or share service on your line, if you have been transferring Airtime on your line before skip to the tutorial below, otherwise ( Read the activation guide for Airtel, MTN, Glo and Etisalat) Just click your network! 2. Launch the App and Create an Account as instructed. 5. After completing Step 4 above, Click Swap Airtime and select the network you are transferring from if prompted. 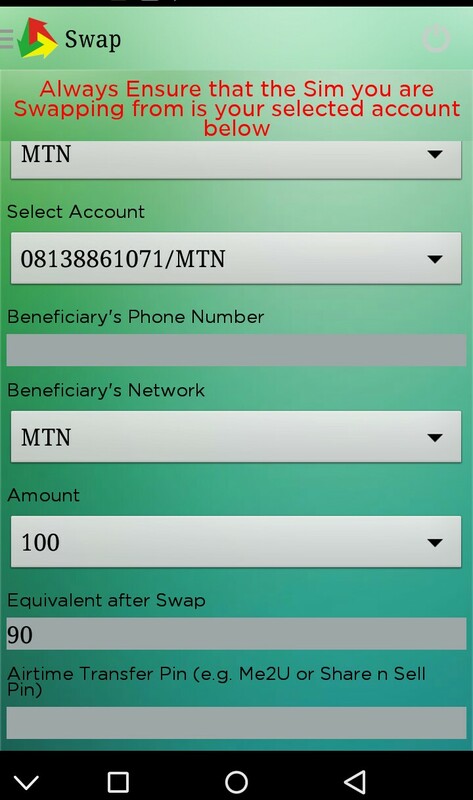 DISCLAIMER: Inforisticblog is not in any way affiliated to the Swap Naija App. We've only shared the service with you because we have tried the service and we feel our Readers might find it helpful too.